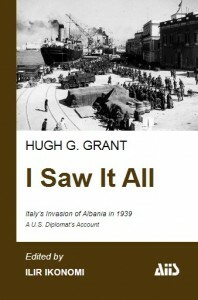 The Albanian Institute for International Studies (AIIS) has just published Grant’s account of the Italian invasion in its entirety. In the summer of 2010, while doing research at the U.S. National Archives in College Park, Maryland, I came across a large file with a wealth of information about the occupation of Albania by Italy on April 7, 1939. It contained a long report by Hugh G. Grant, Chief of the American Mission in Tirana and a firsthand witness to that fateful event. Wandering through the treasure trove I quickly realized that the account qualified as an important addition to the numerous books and articles written about the subject over many years. Adding to my surprise, I soon discovered a long follow up report, in which Minister Grant documented the meltdown of the Albanian independence in the weeks and months following the occupation. 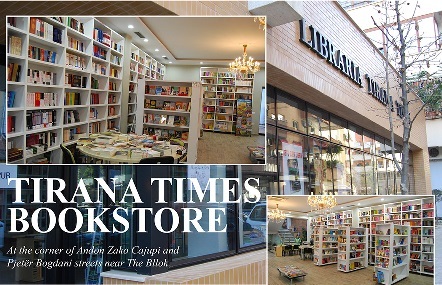 The Albanian Institute of International Studies is now publishing Grant’s account of the Italian invasion in their entirety. We opted to divide them in smaller sections for the benefit of the general reader. In the trying days of 1939, when the rise of Hitler and Mussolini as two brigands seeking to conquer Europe and the world was sounding alarms everywhere, Mr. Grant believed his reports “had little value” to the officers of the State Department who were shaping policies on a grander scale to cope with the international tension. Minister Grant had arrived in Albania in 1935, when the small Balkan nation was enjoying a period of relative peace under a ruler who was seeking modernization chiefly with Italy’s assistance. Grant represented the U.S. government in a nation that had won its independence a little more than two decades ago during which period was faced with problems that were very different from its neighbors. One was the lack of internal cohesion, marked by three competing religions and strong regionalism. The other was the looming danger of partition amongst its neighbors, who tried to take advantage of the chronic weaknesses displayed by the Albanians in organizing themselves as a nation. On the eve of the 1939 occupation, Albania was head over heels in debt to Italy and Mussolini employed that circumstance to impose on King Zog humiliating conditions that were impossible for him to accept. As a frequent visitor of the King, Grant had firsthand knowledge of the workings inside Zog’s monarchy and profoundly understood the root causes that led to the tightening of Italy’s stranglehold on the country. The occupation drama that unfolded was initiated by Count Ciano, the Italian Foreign Minister and Mussolini’s son in law, who had visited Albania the year before as a witness to the King’s wedding. It was subsequently revealed in the infamous Ciano’s Diaries that his visit was merely an occasion to draft Italy’s sinister plans of overrunning Albania and turning it into a bridgehead for other Italian forays in the Balkans. King Zog was acutely aware of the great risks for his policy of indebtedness to Italy. According to Grant, “he always predicted a world war… hoping that the day of liquidation would never arrive as the result of general war in which Italy would be defeated.” The King’s dream never materialized. The Italians were quicker to throw him out and put the country under their fascist rule, which didn’t last very long anyway. Minister Grant speaks from the unique perspective of a U.S. diplomat who, unlike most of his European colleagues accredited in Tirana at that time, was not engaged in a particularly active role in the tiny country. As such, he can be considered a fairly objective and impartial observer of the happenings that brought about the occupation and the subsequent events. Therefore it is fair to say that his compelling account is a must read for history scholars and politicians.